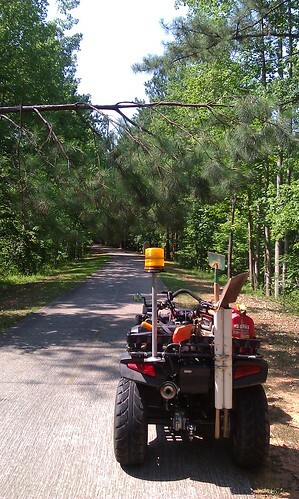 Visibility at trail-road intersections is an important issue on the Silver Comet Trail. Cars need to see cyclists and of course, the cyclists need to see cars at trail-road intersections. Paulding County has several intersections that require regular trimming. I’ve been doing this for the last three years. The effects of trimming shrubbery and trees can have a dramatic effect on visibility and safety at road crossings. Only 30-40 ft from the intersection and the north view of the road is completely obscured by the shrubbery. Cyclists have a clear view of the road to the North. This allows them to focus their attention on the more hazardous south view which has an adjacent cross-street (Rosedale Rd) with turning traffic. No, my truck wasn’t moved between photos; before, it was completely hidden from view. Eisley-Stamper view north, after trimming. Was a major problem for visibility of vehicles. Ground cover had grown to a height which completely hid the view of approaching vehicles. Before: The road is completely obscured from view. Wyandotte Rd: view South, before. After trimming: A dramatic improvement, the road is clearly visible. Wyandotte Rd: view South, after. After trimming: view approaching intersection. Now, after trimming, the south road is completely visible to approaching cyclists. Wyandotte Rd: view South, after, approaching intersection. Both access roads into the Paulding Waste Water Treatment Plant were also trimmed. 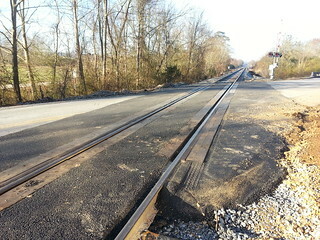 I’m pleased to report that the four Silver Comet Trail railroad crossing in Polk County have been rebuilt. I did a drive-by on 3 of the the 4 crossing and they were completed. 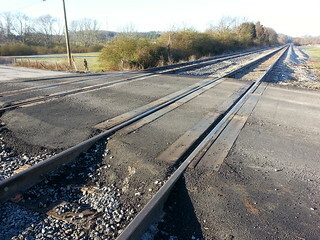 Likely that the fourth crossing is done, or soon to be done also. The less than good news is that wood was used again, rather than a improved, more durable material. However, these will be good for a few years until a better, safer plan can be implemented. Reminder: the Old Cedartown crossing is still very severe angle and dangerous. Lots of overhanging obstacles on the trail this year. No, pine trees aren’t suppose to be growing side-ways. Riders were having to duck under the low hanging branches. 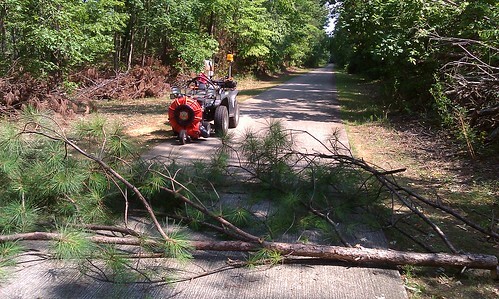 Had the chainsaw yesterday, so I dropped it across the trail, then cut it up and removed it. Shot a short video late this afternoon of the tornado damage on the Silver Comet Trail from last weeks storms. I watched this same tornado go over our house on the NOAA RADAR. Thank goodness it didn’t touch down.